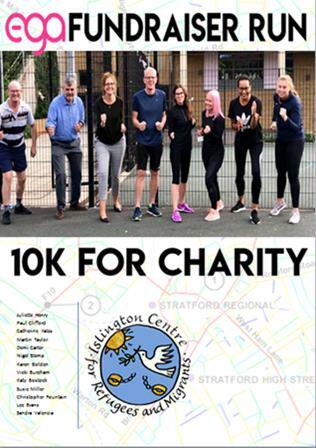 Some of the staff at EGA will be running 10km on the 3rd November to raise money for the Islington Refugee and Migrants Centre. We’d like to wish them all the best of luck! Please support and donate what you can, either online at https://mydonate.bt.com/ fundraisers/egas or at reception!